On February 2, 2019, “Mr. Bruce” Talmadge Wheeler died at his earthly home to awake in heaven for eternity. He was the son of the late Lonnie Talmadge Wheeler and the late Billie Ball Wheeler. Those left include his wife of 48 years, “Jenny” Poe Wheeler; daughter, Megan McFall Wheeler (with Dusty Strickland) and Megan’s son Boone Montgomery Snider; son, Bruce “Tradd” Wheeler and his wife “Diana” Miller Wheeler; sisters, Linda Wheeler Anderson and Sherry Wheeler Cook (Mark); brother, “Gene” Wheeler (Cheryl); one aunt, Ruth Duggins; many loved nieces, nephews, cousins, cherished friends, treasured neighbors, and of course, his side kick, “Happy” the dog. Bruce was proud to be a native of Burlington, North Carolina. He went to Walter Williams High School. In his teen years, he worked at Boston Sandwich Shop, the original Skid’s, Dunkin Doughnuts, Sellars Department Store, and the State Highway Commission. A Williams Electric Position led him to Pike Electric where he was a lineman for 25 years. He retired as owner/operator of Wheeler Construction. Over the life of his career as a lineman, he took part in restoration all over the United States of the aftermath of tornadoes, hurricanes, snow storms, and wildfires. He also worked and taught as a lineman in Saudi Arabia. Bruce was known as one of the hardest working men, always giving above and beyond what was required. As a young man, he began body building at Blocks’ Gym of Swepsonville and Winners’ Gym of Burlington. He participated in the Highland Games and received three medals. He attended The Lamb’s Chapel for the last several years. However, he was a former member of Andrews Memorial Baptist Church in Graham and Glen Hope Baptist Church in Burlington. He was active in many ways including the position of the Awana director and heavily participated in the Walkthrough Bethlehem at Christmas. Other highlights, one of the founding members of the ACS Athletic Booster Club, one of the first board members of Siloam Missionary Homes, Snow Camp, coach of his children’s basketball, baseball, and soccer teams, their field trip bus driver, volunteer through Hospice at the Relay for Life as a clown/balloon maker. 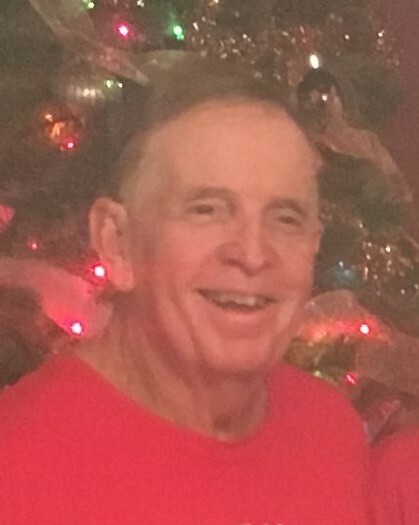 Some of his loves were chocolate, “sweets”, sweet tea, Zack’s hot dogs, the oldies, hymns, “K-LOVE”, Santa Claus, holiday decorating, practical jokes, and making people laugh and smile, especially children. Bruce will be remembered for his huge heart to serve and give to anyone who had a need. The joy of his life was his family and loving them, especially his only grandson, Boone. He was a good husband, daddy, and “Pop-Pop”. He will be greatly missed, but until we see him again, so many memories will be treasured of the gift he was to this world. He always mentioned “my faith is what keeps me going in this life”. A memorial service will be held at 6:00 PM on Thursday, February 7, 2019 at the Rich and Thompson Chapel in Graham. Officiating will be Rev. Larry Redding and Rev. Frank Howerton. The family will receive friends from 4:45 to 5:45 PM prior to the service at the funeral home and at other times will be at the residence.